Get Started tells about its new features and how to use them. 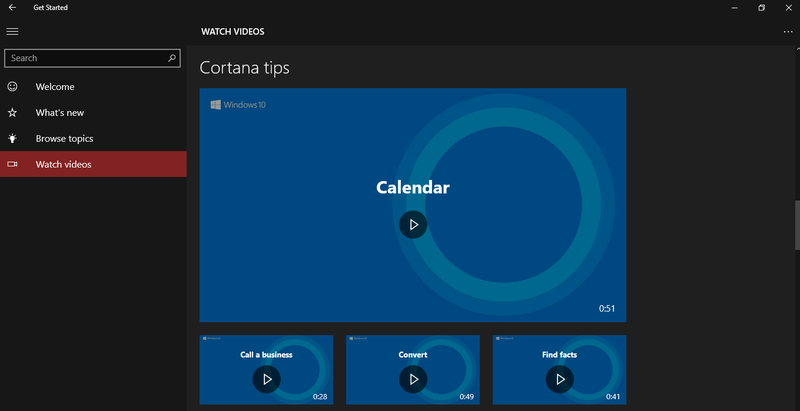 This feature provides video tutorials to make understand easy. You may find many interesting features of apps that you do not know still. 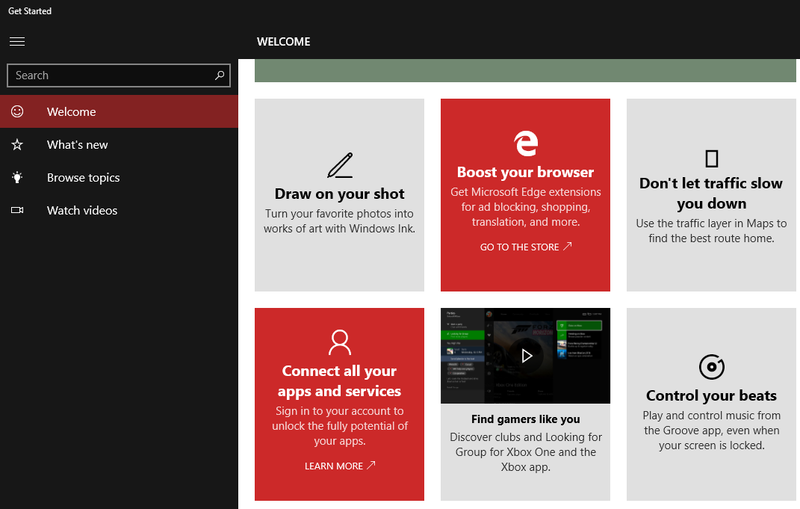 Now come its Welcome page. Here, one will get the glimpse of many apps. 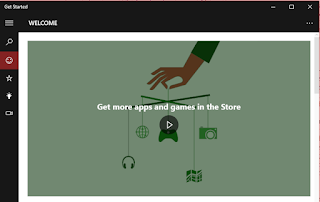 The first image will show you how one can get more out of Windows store. You can view videos to understand it properly. Second image elaborate about some important apps needs day to day basis. 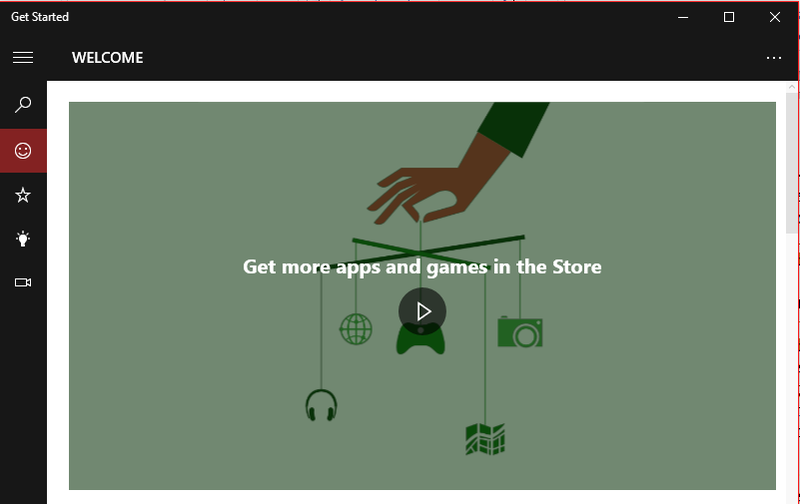 Like Music, Maps, Photos, Connect, Games and much more. 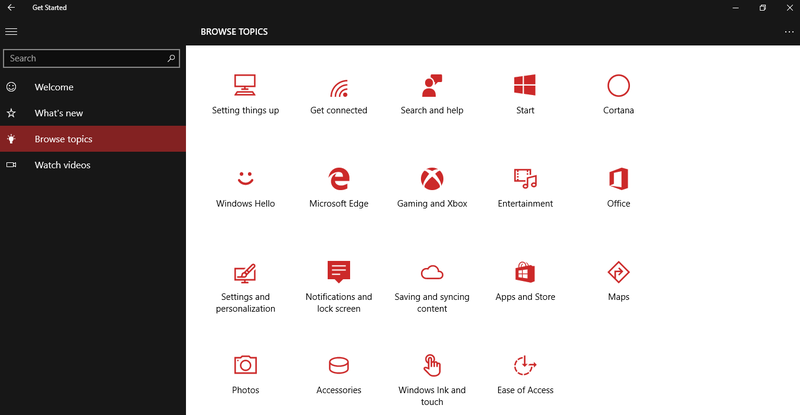 And also many new apps introduced to windows. The third image speaks about Topics that can be browsed with this app. 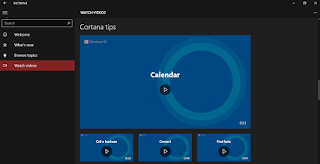 Like Settings things up, Get connected, Search and help, Start, Cortana, Windows Hello, Microsoft edge, Gaming and Xbox, Entertainment, Office, and much more. 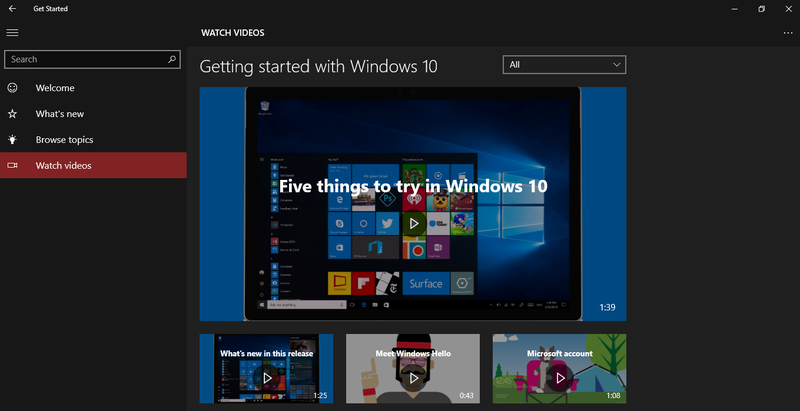 Fourth, is Five things to try in Windows 10. 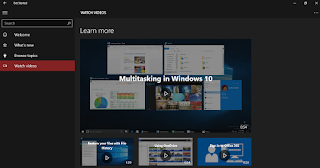 Like here What’s new in this release, Meet Windows Hello, Microsoft Account and more. And last is watch videos. 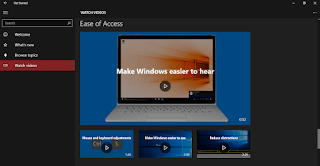 Here you can watch videos related to new improved apps available in store. 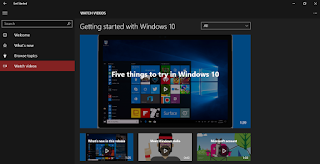 One can also check previous apps related videos. 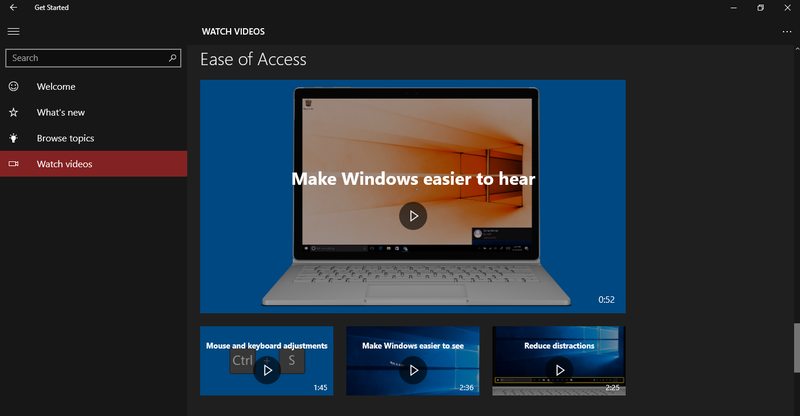 This makes Windows more users friendly and easier to understand. 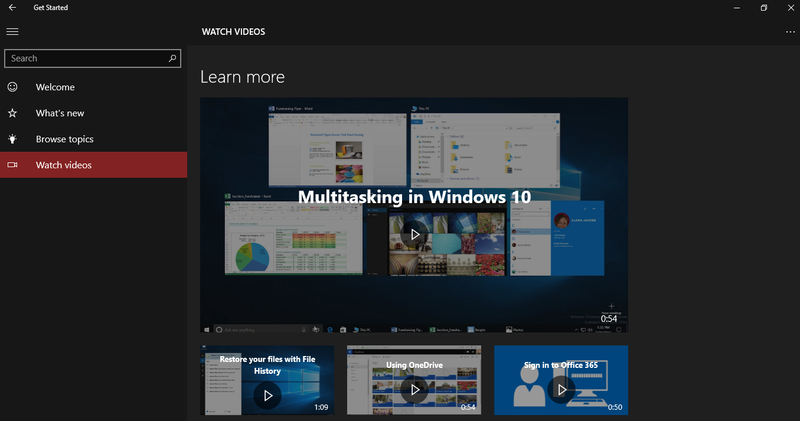 This also enhances multitasking of this operating system.